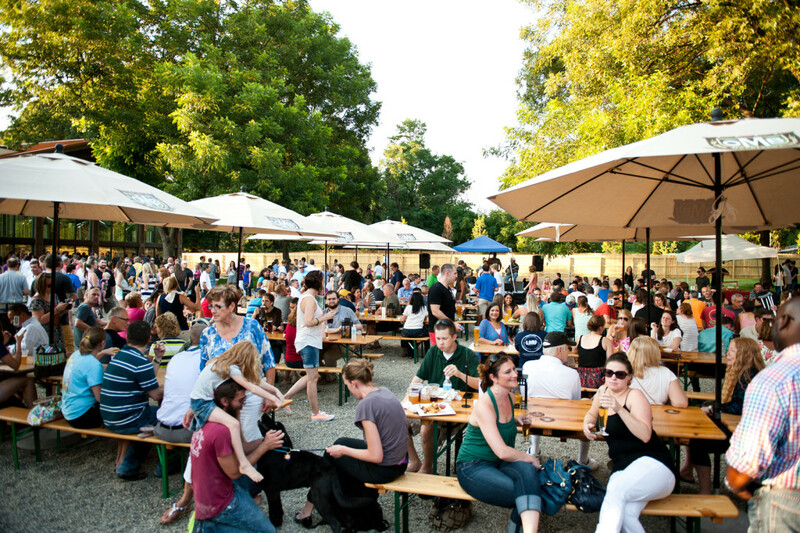 Quench your thirst for adventure and beer at the U.S. National Whitewater Center and The Olde Mecklenburg Brewery. 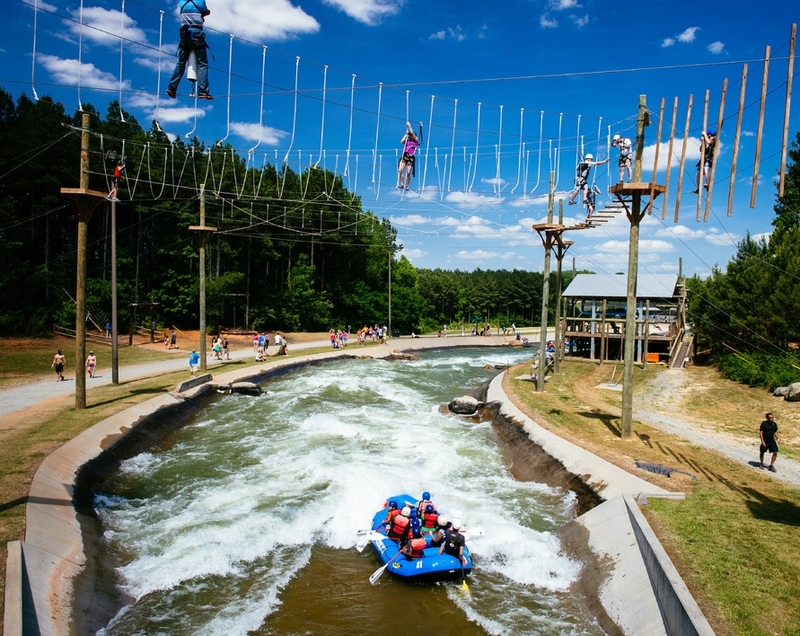 Experience Charlotte’s beauty and brawn at the U.S. National Whitewater Center. 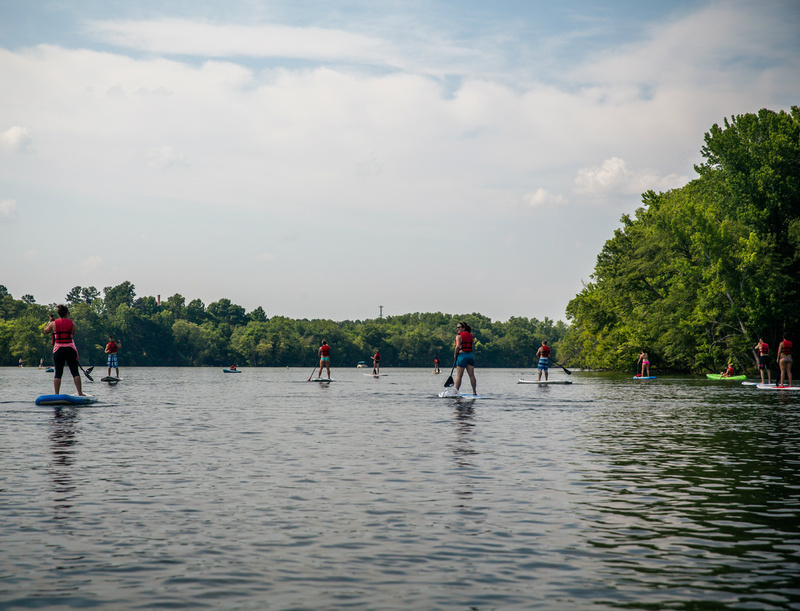 Drink in the Catawba River’s tranquil scenery while stand-up paddleboarding. Test your tolerance for heights on multiple soaring zip lines. Or dive into the world’s first deep water solo climbing complex. You’ll push yourself to new limits in a place where Olympians log hours of practice and accomplish feats of strength. When your adrenaline has settled, refuel your system with lunch at River's Edge Bar & Grill, located on-site at the U.S. National Whitewater Center. Enjoy patio views of the whitewater rapids while you munch on burgers, salads or sandwiches, and sip cold suds. For heart-pounding memories that won’t soon fade, hop aboard a raft and careen down the U.S. National Whitewater Center’s powerful man-made whitewater rapids—the largest in the world. Then maneuver your way through the center’s sky-high, labyrinth-like ropes courses. Toast authentic German beer culture at The Olde Mecklenburg Brewery. Try flights or pints of top pours, which pair best with the plates of sausages and sauerkraut cooked up in the on-site brauhaus. Then take OMB’s behind-the-scenes tour, which has been named best in the nation by USA Today’s 10Best Readers’ Choice Awards.